One of my best friends just celebrated a milestone birthday... eighties style. Big hair, big accessories... and a seven hour playlist. Her husband referred to it as the soundtrack. It certainly set the stage... for big fun. Because you just can't help singing along when Cyndi Lauper reminds us that Girls Just Wanna Have Fun (and yes, we did!) And Madonna's Crazy for You brought me right back to the roller skating rink and calling certain boys on the pay phone (do they still make those?) Decked out in my strands of blue plastic beads, ruffle socks and faux Sam & Libbys, I celebrated a friendship and laughed at the 80's... Time After Time. It is Flashback Friday... and music memories. While this party was just a week ago, the weeks of planning certainly dragged the past right on into the present! I think "Crazy for You" is THE official song of the roller skate rink Moonlight. Thanks for taking us back this week! How fun. You know this is right up my alley!!! I love seeing Madonna dating Sonny Crockett too! Love it. I miss the 80's. I like big hair. : ) I'm glad you had such a good time. Love, love, love. I was definitely a child of the eighties, in all its glory! I was a little too young to really know what it meant, but I eyed my older cousins' big hair, fingerless gloves, and blue eyeshadow with envy! :) So fun! Y'all are soooo cute!! I bet the fun was contagious at that party!!! Sam and Libby's! I'd forgotten what they were called! Thank you! You are waaaaaaay too cute. I love it. And now I want to couple skate at the roller rink. That sounds like it was such a fun, memorable party! 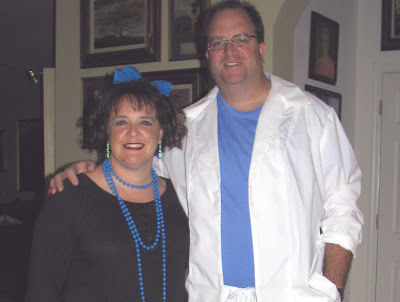 I'd love to go to an 80's bash someday! those blue shoes are really cute. i would love a pair for my daughter.